How to Be Objective and Antifragile in Business Decision-Making? The strategic reality of any business consists of a strategist, their strategic plan, and a desired result. In theory, this reality is more a global subject, but in practice, it all comes down to only one particular strategist. And when it’s time to implement this plan in real life, the specialist mostly analyzes the strategy only through the prism of their own experiences. As a consequence, they make business decisions subjectively, leading to the real result and the expected one not adding up. In such case, the strategist wastes their time and the company’s money. That’s why the development of objective decision-making becomes essential for any manager and entrepreneur. Roadmap Planner team has conducted an extensive research on this subject using Nassim Taleb’s works, The Black Swan: The Impact of the Highly Improbable and Antifragile: Things That Gain from Disorder. What is the Black Swan theory by Nassim Taleb? What does antifragility mean? How to be objective and antifragile in business decision-making? Let’s answer all your whats and whys! And if you’d like to beef up your knowledge of this topic, we suggest you take a look at this article on business decision making methods by Berkeley Executive Education. What is the Black Swan theory in strategic planning? In the Nassim Taleb’s theory black swans can be positive (e.g. the emergence of innovative technology) or negative (e.g. economic crisis). The appearance of black swans is a bright example of subjective analysis of the market by a strategist. The key point of the Nassim Taleb’s theory is not to learn how to predict such events, but to become resistant to negative Black Swans and benefit from the positive ones. What does antifragility mean in strategic planning? You should decrease your losses rather than increase the benefits. The key point is that you can’t repair a shattered glass. You should strive to become antifragile, or else the negative consequences will exhaust your business like an incurable disease. This is also the matter of choosing the right sequence of actions. Above all, you have to think about the survival of your business and only after that about your other goals. 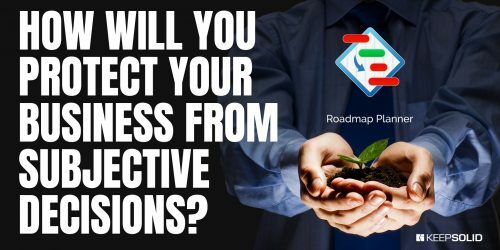 There is no point in making your business more effective as long as it is fragile and the risk of its sudden death still exists. You should use a bimodal strategy in your business decision-making. According to Nassim Taleb, this strategy can be described as a barbell. From one side there are negative swans, and from the other – the positive ones. These are two extremes between which there is nothing. Try to make sure that the negative swans won’t appear and the positive ones will take care of themselves. You should be 90% accountant and 10% rockstar. You can’t be objective if you are always in stress. That’s why in order to become antifragile, you shouldn’t choose a middle way. As Nassim Taleb puts it, you should put 90% of your time into activities that are guaranteed to give you some profit and only 10% of the time – into the adventurous ones that can potentially result in super benefits. Thus you build a secure environment and remain objective at all times. How to make objective decisions? Now let’s take a look at practical strategies on how you can be objective in your business decision-making. Make Pros and Cons lists. Sure, this is a cliche, but this basic technology to make objective decisions really works. Just take your options and make pros and cons lists for each of them. For instance, a certain decision can gain you profit but lose you a partner at the same time. Such lists help to visualize your options and choose the right ones logically and objectively. Imagine that you are consulting your partner. It’s always easier to provide advice to somebody else than be objective in your own business decision-making. Imagine being on a business meeting and your partner telling you about their (but really yours) problem. What advice will you give to them? Clear your mind. Sometimes the best thing that you can do is to take a good rest and not think about your strategy for some time. This will help you look at your decisions from a different angle. According to Nassim Taleb, black swan events depend on the strategist to some extent. In other words, even during a crisis some people notice business opportunities. That’s it for today! We hope that this article will help you to be more objective in your business decision-making. 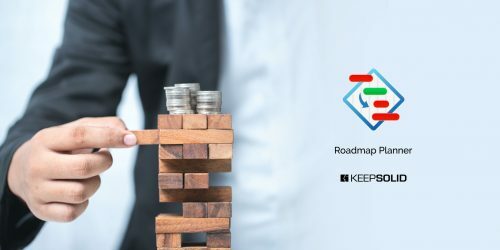 Also, we’d like to remind you that in order to visualize your strategic plan and to see the whole picture, you should use a top-notch tool for strategic planning, like Roadmap Planner. Thanks to this app, you’ll gain a clear sense of the plan and be able to track all your tasks and goals. Get our FREE plan and be objective and antifragile in your business decision-making.